It's already pretty hard keeping myself alive. So for me, keeping a plant alive is a whole another story. Let's just say that I have a pretty bad track record of keeping my plants green. Today's project involves drinking wine and making this self-watering system for your potted plants. And I know that I desperately need it. It being the wine and the hope that my plant can live longer than my usual track record. Gather the materials. Then, take the label off the wine bottle. 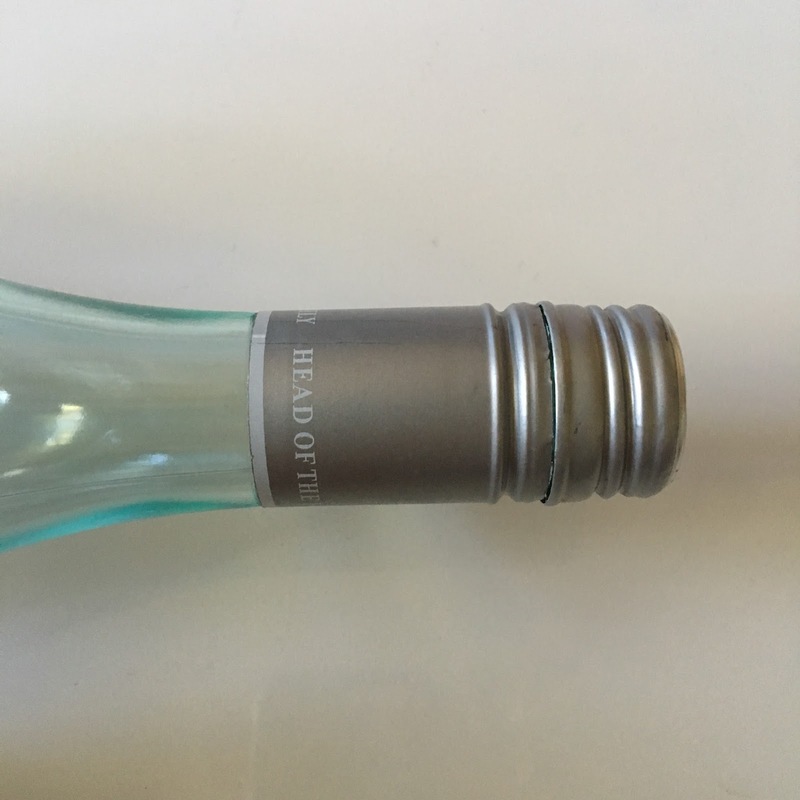 Make sure the wine bottle has a metal twist on cap. Twist the cap off of the wine bottle. Using the round nose pliers, punch one hole into the cap. Think of a cute catch phrase you would like to place on the bottle. I used the phrase "nom nom." "grow & please don't die on me"
Fill the bottle with water. Then, twist the cap back on the bottle. Make sure you water the potted plant. If you don't water the plant, the soil will instantly drain the bottle of water. After you water the soil, flip the bottle upside down and bury it into the soil. I have kept this plant alive for two weeks (without any refills) using this trick. 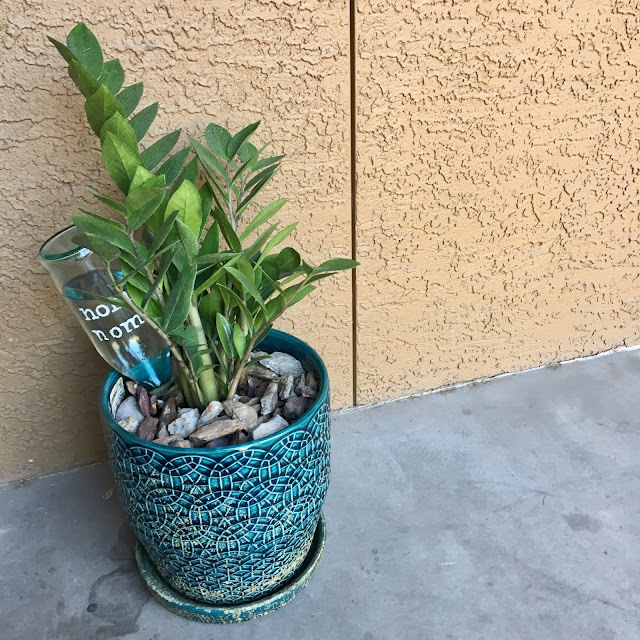 I will "force" myself to drink more wine than I need to in the hopes that my plants stay green.